GE (NYSE: GE) and Japan’s Sumitomo Corporation have reached a public-private partnership milestone by signing a 25 year Power Purchase Agreement (PPA) with the Sharjah Electricity and Water Authority (SEWA) to develop, build and operate a 1.8 gigawatt (GW) combined cycle power plant located in Hamriyah. 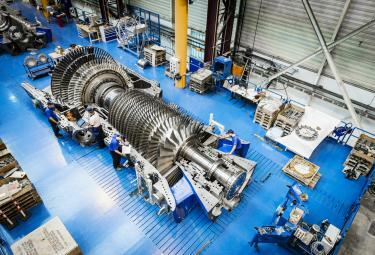 Equipped with GE’s HA technology, including the world’s largest and most efficient heavy-duty gas turbine, the flagship project is expected to be the most efficient power plant in the Middle East’s utilities sector upon completion and will enable SEWA to substantially improve the overall efficiency of its operations. The project will consist of three combined cycle blocks, the first of which is expected to come online in May 2021.